Mitsubishi Estate Co., Ltd. will be opening “MARK IS fukuoka-momochi“, a new commercial building in Fukuoka City, on November 21st. Fukuoka is a popular tourist destination among Asian travelers, especially from South Korea, and the largest city on the Kyushu island of Japan. With a premier location close to the oceanfront and being the first retail location in Fukuoka or Kyushu for many brands, “MARK IS fukuoka-momochi“ is the latest addition to Fukuoka City landmarks and attractions. MARK IS fukuoka-momochi entrance image, (c) Mitsubishi Estate Co., Ltd. While Fukuoka has seen an increase in shopping districts and malls, they are all clustered in the fast-paced, busy part of the city. The first thing that sets “MARK IS fukuoka-momochi“ apart is its location in Seaside MOMOCHI, which is the city’s symbolic seaside area with open, naturally relaxing surroundings, splendid oceanic views and major landmarks. With proximity to popular spots such as Fukuoka Tower, which is Japan’s tallest seaside tower with a spectacular panoramic view of the city, and Fukuoka City Museum dedicated to Fukuoka’s history, “MARK IS fukuoka-momochi“ is not just a shopping mall, but also serves as a place to take a break from sightseeing, as well as to enjoy restaurants of diverse cuisines, including local gourmet and newcomers to the region. “MARK IS fukuoka-momochi“ features an open, inviting architecture with plenty of space and greenery offering warmth and a relaxed atmosphere. “MARK IS fukuoka-momochi“ is just 3 subway stops away from Tenjin Station in the busy part of the city, and within 30 minutes by bus from Hakata Station, the largest railway station in Kyushu. 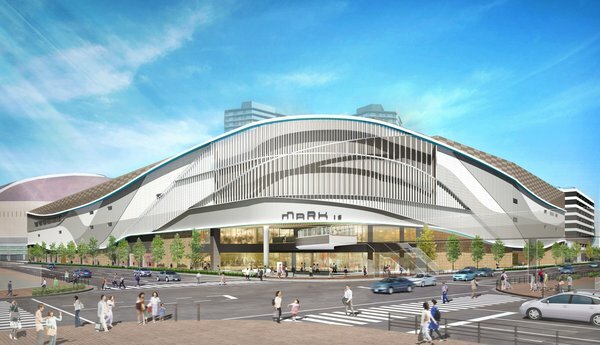 Altogether “MARK IS fukuoka-momochi“ is the all new, must-visit landmark in an oasis, to experience Fukuoka and its shopping scene in a profoundly new way.